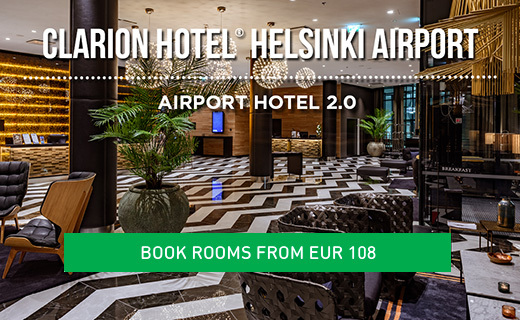 Museums and Science Centres, petting zoos and medieval churches, the largest leisure centre in Finland adjoining one of the largest shopping malls in Finland, garden centres, parks and access to untamed woodlands and nature trails: don’t miss out on the real Vantaa – it’s much more than an airport. Along with Helsinki, Espoo, and Kaunianen, Vantaa makes up the Helsinki Metropolitan Area, and is the fourth most heavily populated city in Finland. Most visitors to Finland will pass through Vantaa, as the country’s largest airport, Helsinki-Vantaa Airport, is located here. Although the earliest traces of human habitation in the area date back 7,000 years, and the first mention of Vantaa (then called Helsinge) was in 1351, it only gained city status in 1974. Today, Vantaa is a thriving community, continually expanding and developing, yet never losing sight of the importance of its natural surroundings. 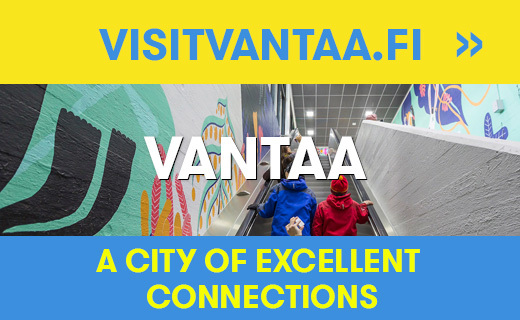 Visitors to Vantaa will find themselves faced with a vast array of choices, as the city boasts a wealth of cultural and natural attractions. Artsi – Vantaa City Art Museum is a new kind of art museum, specialising in graffitti, street art, and performance art. In Vantaa City Museum, housed in the Old Railway Station Building in Tikkurila, visitors can explore the history of the region beginning thousands of years ago and progressing to the present. Not surprisingly, Vantaa is home to the Finnish Aviation Museum, where there are over two dozen aircraft on display, both civilian and military, as well as other aviation oriented exhibits. The museum also has a collection of almost 9,000 other items, its library lists more than 16,000 books and magazines on aviation, the museum also possesses a large collection of aviation-related photography, as well as three different flight simulators. Vantaa also is home to the world famous Heureka Science Centre, where the main exhibition has over 200 exhibits from numerous scientific fields, a world-class planetarium, a science park, and much more. The centre has gone to great lengths to encourage an interest in science in children, and much of the exhibition is interactive, requiring no reading or writing skills but merely their participation. The centre also houses two temporary exhibitions and has provided traveling exhibitions to twenty countries reaching over ten million visitors. Vantaa’s modernity is likewise confirmed by a visit to the Flamingo Spa & Leisure Centre, the largest leisure centre in Finland. Inside the visitor will find a huge range of activities and services including a huge waterpark, a spa, fitness and health services, bowling, cinemas, glow-in-the-dark mini golf, numerous restaurants, and much more. Next to the Flamingo you’ll find the 3rd largest shopping mall in Finland, aptly named Jumbo. Away from the city centre there are numerous ways of exploring the history of the region. In Sotunki Village you can get a flavour of rural life in southern Finland. There two sculpture parks, a traditional farmhouse perfectly preserved, the Trollberga Tractor & Agricultural Museum, a petting farm for children, Orkola Museum, Vantaa Nature School, and guided forest hikes and adventure tours. In Helsinge Parish Village, on the banks of the Vantaa river, you’ll find the ancient stone Church of St. Lawrence built in the 1460s, a local history museum, and a stone mill. The King’s Road, one of the most important historical routes in the Nordic countries, also passes through the village, following the original route. It crosses the River Vantaanjoki at Vantaankoski, a wooden bridge built in 1876, and crosses the River Keravanjoki at Hakkila via a stone bridge built in the 1890s. Horticulturalists can enjoy Garden Fairs at the Backas Garden Centre, or explore the Viherpaja Garden Centre with its Japanese Gardens and Cacti Gardens.